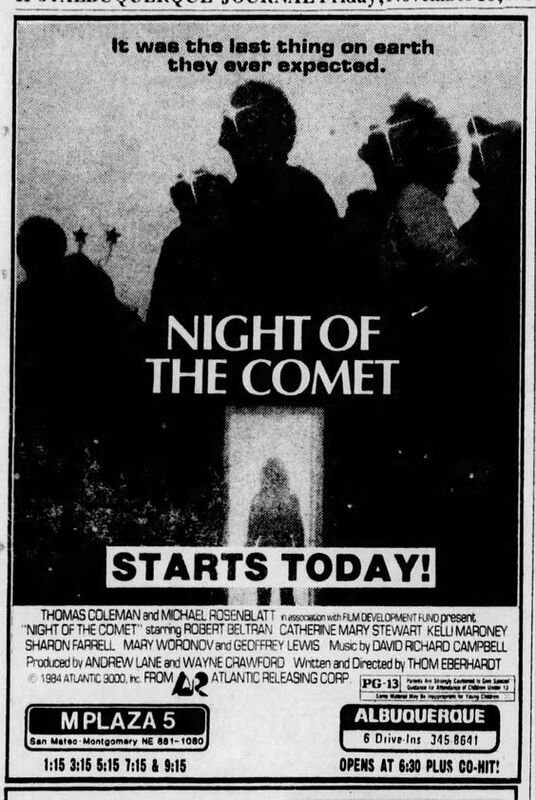 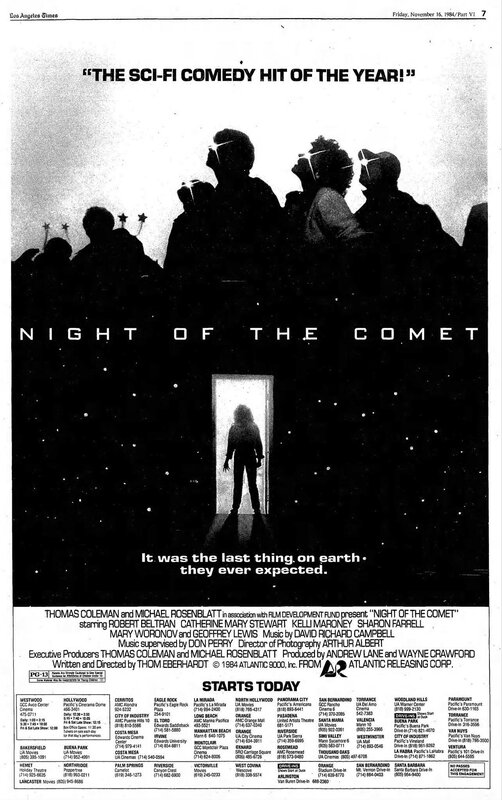 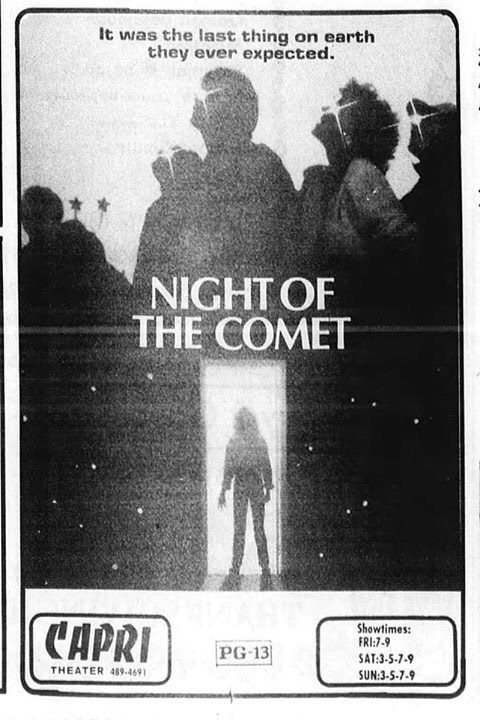 Night of the Comet fan, John, was kind enough to donate an original Press Kit that he had in his collection. 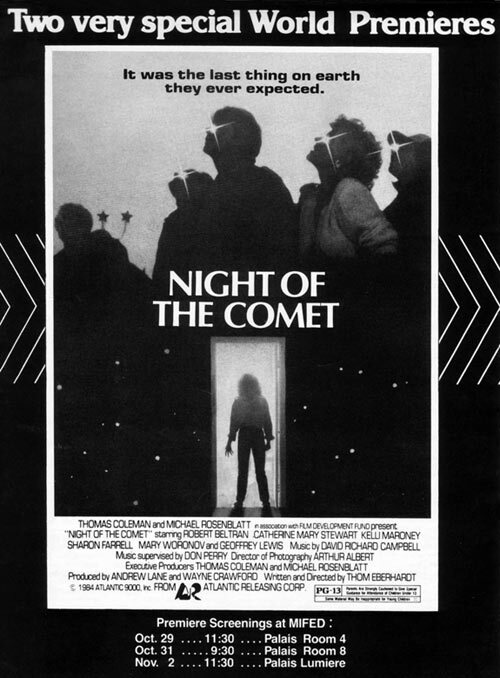 The Press Kit included an 11 page document detailing the film and cast and would also have included a set of stills. 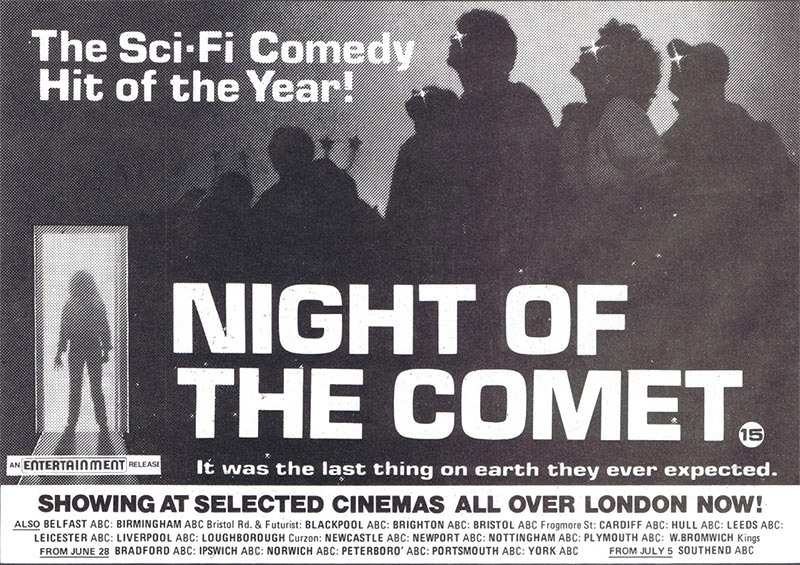 Half-page advert from No 1 magazine, 22 June 1985. 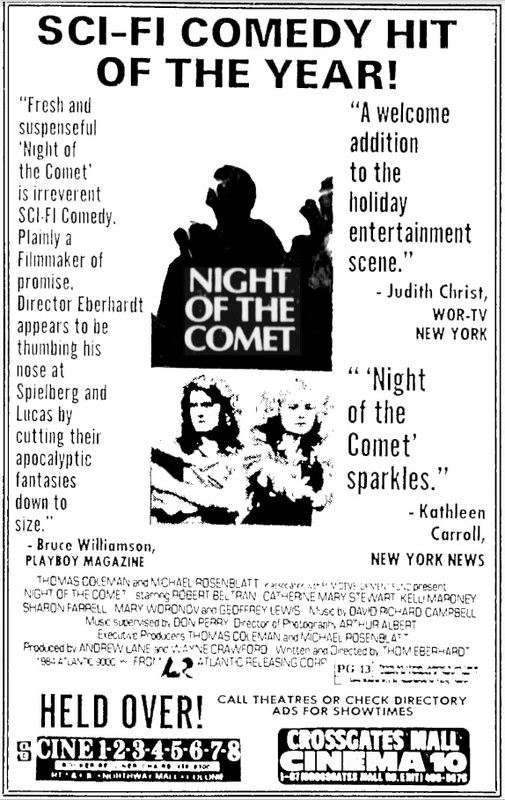 Postcard-sized invitation for the infamous nightclub, Studio 54. 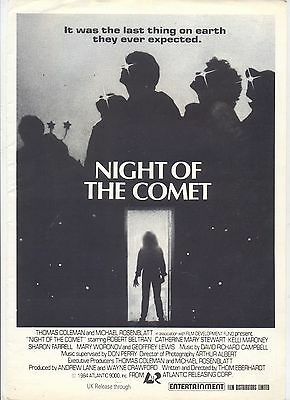 Dating from 20 November 1984 the invite is for a party in honour of the (at the time) recently released film, Night of the Comet (the film was released on 16 November 1984) featuring “A new music evening of film, video and artwork”.